Sometimes the worst bugs to track down are the ones that seem to be impossible to reproduce. Or worse, inconsistent performance problems that can cause "Application Not Responding" errors in Android apps. No matter how much test code you write, these types of errors seem to have a way of sneaking into your app and causing problems for your users. 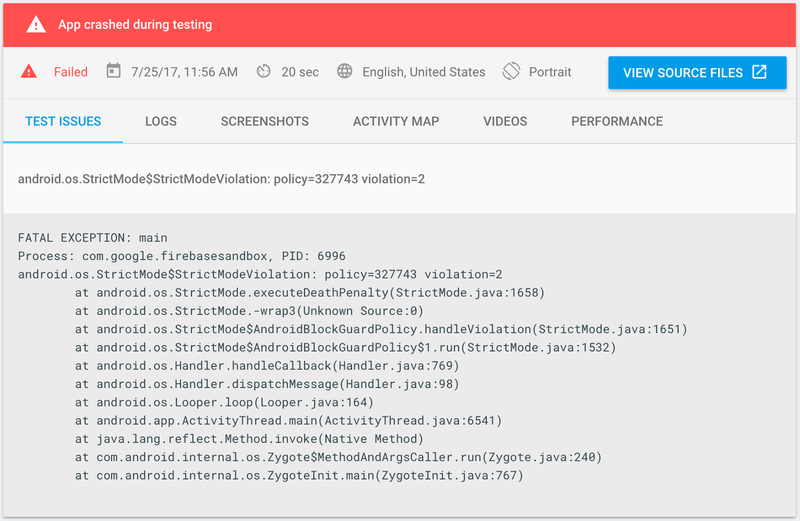 However, with some clever use of Android's StrictMode API, alongside Firebase Test Lab for Android, you can find out about these problems before they reach production! 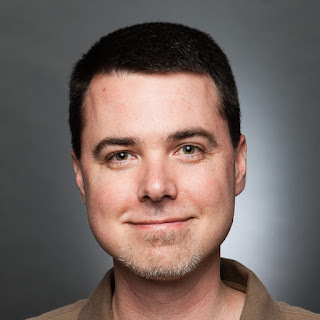 Over the years since Android was first available, a number of best practices have been observed for writing solid apps. For example, you shouldn't be performing blocking I/O on the main thread, and you shouldn't store references to Activity objects that are held after the Activity is destroyed. While it's likely that no one will force you to observe these practices (and you may never see a problem during development), enabling StrictMode in your app will let you know where you've made a mistake. These are called "policy violations", and you configure these policies with code in your app. Here I have both a ThreadPolicy (for the main thread) and a VmPolicy (for the entire app) that look for all known violations, and will both log that violation and crash the app. Take a look through the javadoc for those builders to learn about all the situations they can catch. So we've discovered here that an activity's onCreate() called getSharedPreferences(), and this method ends up reading the device filesystem. Blocking the main thread like this could be the source of some jank in the app, so it's worth figuring out a good way to move that I/O to another thread. Now we have a way to check for StrictMode violations during a test, but there's still a few more details to work out. When should I enable StrictMode? If you do this immediately when the app launches (in an Application subclass or a ContentProvider), there is a subtle bug in some versions of Android that may need to be worked around in order to avoid losing your StrictMode policies when the first Activity appears. When should I disable StrictMode? Similarly, you may not want to track all the possible violations all the time. In that case, you might want to instruct the policy builder to only detect a subset of the potential issues. Get out there and test your app! While StrictMode violations are not always the worst thing for your users, I've always found it educational to enable StrictMode in order to find out where my app might be causing problems. In combination with Firebase Test lab, it's a great tool for maximizing the quality of your app.